What are most 25-year-old men doing on the weekend? Certainly not dressing up as princesses at the movies. But this is exactly what Jesse Nagy did. And the reason why is simply adorable. 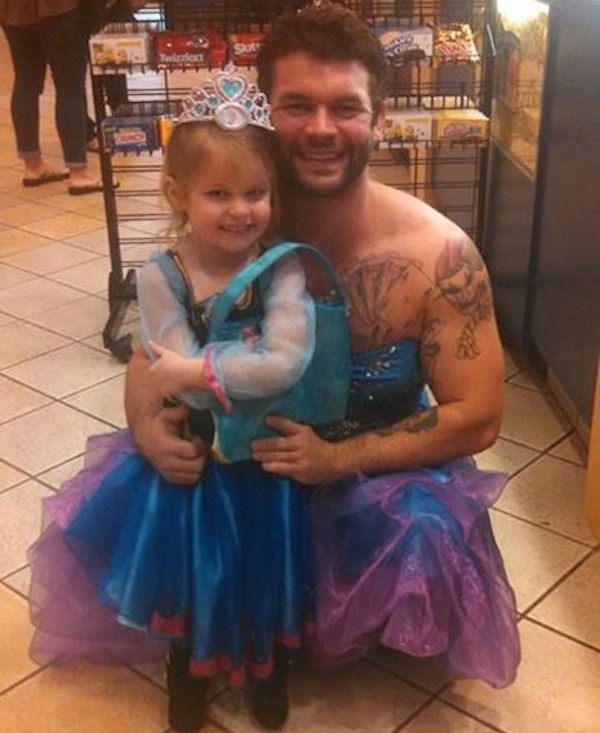 It’s was just another typical day for Jesse Nagy as he agreed to see the new Disney Cinderella flick at the cinemas with his four-year-old niece, Izzy. While at home getting ready for the outing with her Uncle Jesse, Izzy confessed she wanted to wear her princess costume to see the movie but felt too shy to be the only one dressed up. So Uncle Jesse did what any awesome uncle would do – he dressed up as a princess with her. Nagy, an actor, borrowed a prom dress from a friend and the duo headed to the cinema in their hometown in Alabama. Nagy shared a photo on his Facebook page which immediately went viral with more than 17,000 likes in less than 48 hours. 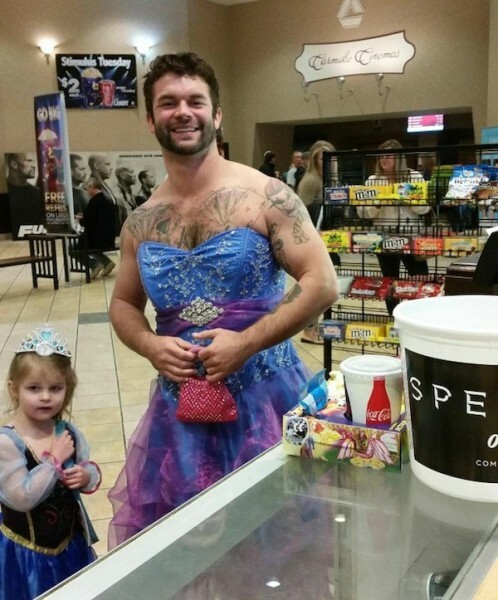 An employee at the cinema also snapped a photo of the two princesses at the popcorn counter and posted it to Reddit, where it has been viewed a staggering 1.7 million times and counting. 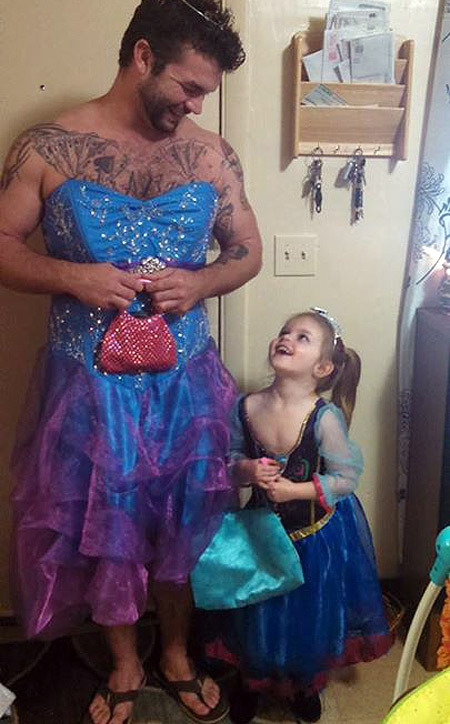 We say who needs a fairy godmother with an uncle like that!